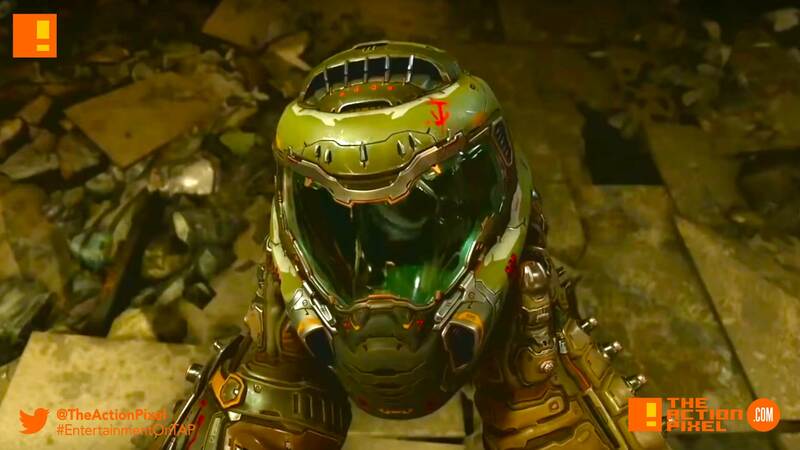 Bethesda anoints fans with 15 minutes worth of hellish gameplay from the coming "DOOM Eternal"
Bethesda Softworks takes to revealing circa 15 minutes worth of gameplay video of the coming DOOM Eternal game teased early this year in June. And it is the carnal chaos you would come to expect from the DOOM franchise, with just that right amount of added kick and recoil. And what better place for the reveal other than QuakeCon 2018? Watch the exclusive reveal of DOOM Eternal, featuring over 15 minutes of gameplay. The DOOM Slayer returns in DOOM Eternal, the much-anticipated sequel to DOOM, coming to PC, PlayStation 4, Xbox One, and Nintendo Switch! With a redesigned set of armor and an arsenal of new equipment, your fight against the onslaught of Hell continues. Take on twice as many demons in DOOM Eternal, including fan favorites from classic DOOM titles like the Archvile, Pain Elemental, and the Arachnotron. In our reveal gameplay presentation, we show off Hell on Earth and Phobos, two of many vastly diverse worlds that you’ll visit in DOOM Eternal. Watch as the DOOM Slayer uses his signature weapons and powerful new tools, including the Super Shotgun’s new Meat Hook mod, the brutal new extendable blade, and his shoulder-mounted cannon with flamethrower for devastating blows toward his enemies.